Why did you want to do this film? I thought it was such a beautiful story of what it’s like to love in this life. And that is the point of life. I thought it was something I really wanted my two daughters to see. It being a film about women by women. It spoke to me on every level. It was so emotional. It was so about everything we go through in life somehow all in one fell swoop. Having been in the industry for so long – how does it feel there is so much attention towards women? It’s wonderful. I just had my beautiful baby girl Frankie, when I made this film. And I am a mother raising two girls, and this is a story about lifelong friendship between two women. And the writer and the director are women. And for the first time I was so moved by the aspect of women and femininity and girls and the aspect of this film. It was really influential to me. That whole universe collided and it was all things women. Yes, and that is incredibly unfortunate and we have to do everything we can to get it there. That’s a very large answer. And a very complicated one. But it should also be that easy. Do whatever it takes. I have been a ‚do whatever it takes person’ in my whole life without screwing anyone over. That’s what you have to do. 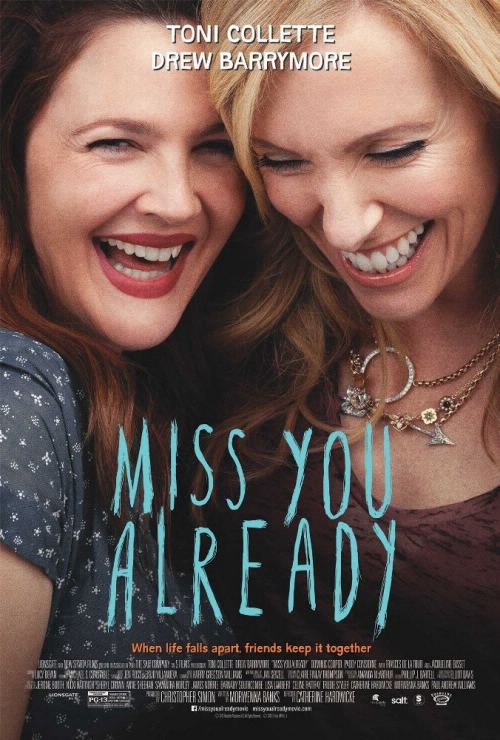 Did this film make you think about the relationship with your best friend? Or do you wish you had a friend like this? I am so happy when people say ‚I went and called by best friend after this movie’. I heard last night that the definition of success is relief. And I am relieved every time I hear someone say it. And excited. In the movie tragedy strikes. Did you have experiences with people, who have breast cancer? Yes. The people I know, who are some of the people that I love most in this world. I gave it my mother-in-law and partner in business, Nancy Juvonen, who is my hero, both of whom have lost their mothers. And they both told me how real to life this way. It is a very long, drawn-out process. And there is humor and frustration and exhaustion and there is a level of care and selflessness and giving of oneself to the other. To me that was so important. In fact, it was everything. I feel like in film as well as the intentions are – sometimes it doesn’t capture the realities, even just the quiet moments. Because you are trying to pack everything into the film. It’s a daily grind. The movie packs the amount of life and friendship and experience that this group of people has in such a short period of time. Sometimes it balances the realities and the humor and the quietness and the strength that goes with it and a lot of time and experience and belief that this is a whole life lived with these people. It is short. And this is it. And you don’t remember that until you let everything kind of linger sometimes when you need to get in there and be present and love more.